Whole Foods Market today announced a commitment to the Non-GMO Project –a non-profit collaboration of manufacturers, retailers, processors, distributors, farmers, seed breeders and consumers – to use the Non-GMO’s Product Verification Program (PVP) in connection with Whole Foods Market’s private label products. Whole Foods will submit its private label products to testing for genetically engineered organisms–a move that will add a new level of certification to what’s on the organic and natural grocer’s shelves. Austin, Texas-based Whole Foods will work with the Non-GMO Project, a nonprofit collaborative of manufacturers, retailers, processors, distributors, farmers and others. The product verification program is the reportedly the nation’s first system designed to scientifically test whether a product has met a set of defined standards for the presence of genetically engineered or modified organisms. 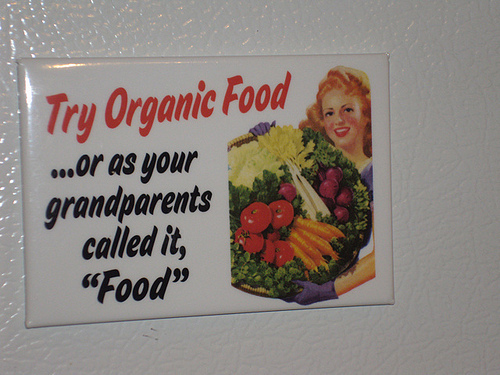 Finding out how to go organic for Earth Day is right at your fingertips, thanks to Go Organic! (TM) for Earth Day, the major national collaboration of the Organic Trade Association, Earth Day Network , and MusicMatters. 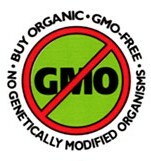 “Go Organic! for Earth Day’s new iPhone application offers everything consumers need to go organic for Earth Day this April 22nd,” said Christine Bushway, Executive Director of the OTA. Leading national retailers in ten major markets are participating in “Go Organic! for Earth Day,” which is now in its fifth year. In the west, retailers include: Ralph’s in Los Angeles; King Soopers and City Market in Denver; Kroger, Brookshire’s and Market Street in Dallas-Ft. Worth; and Fry’s in Phoenix. In the southern states, participating retailers include: Kroger in Atlanta, Publix in Miami and Tampa, and Nutrition S’Mart in Tampa. In the Midwest and east, participating stores include Kroger in Cincinnati and Detroit, and ShopRite in the New York-New Jersey metro area. For information about nearby stores giving out Go Organic! for Earth Day coupon books and Earth Day events, enter your zip code on the new iPhone application, or visit the Go Organic! for Earth Day website at www.OrganicEarthDay.org. According to Dr. Alan Greene, author of Raising Baby Green, and clinical professor of pediatrics at Stanford University’s Packard Children’s Hospital, women who are pregnant should choose organic versions of these five foods to maintain health of their baby and the planet. Beef – If you eat beef during pregnancy, choose organic beef. The meat from grass-fed, organically raised cattle tends to be leaner overall and has about five times the omega-3s of its conventional counterpart. In contrast, a 2007 study published in the Oxford journal Human Reproduction linked mothers who ate beef from conventionally raised cattle during pregnancy with lower sperm counts years later in their adult sons. The men in the study whose mothers ate conventional beef most frequently had sperm counts that averaged 24 percent lower than their counterparts, and they were three times more likely to be infertile. The authors of the study believe the added hormones were the culprit.